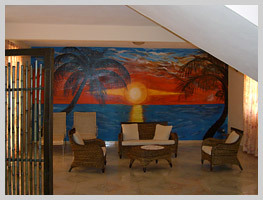 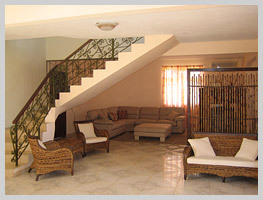 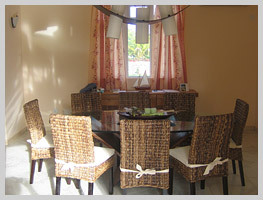 The living room of the villa, located on the ground floor, is spacious and welcoming. 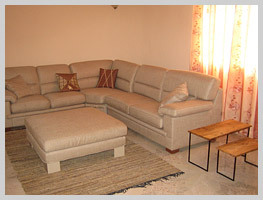 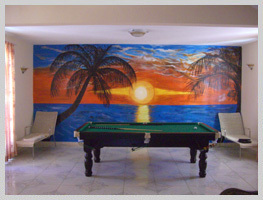 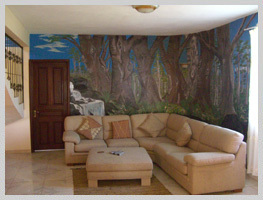 There are comfortable sofas for the maximum relaxation, a dining table and a TV with video games and a DVD player. 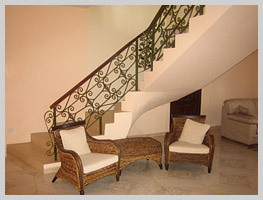 Guests can also make use of an ADSL Internet service for all their communication needs.